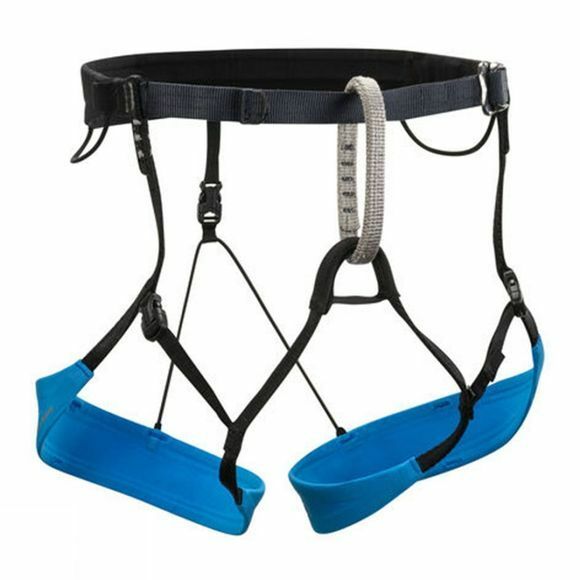 The Couloir Harness from Black Diamond is a speciality harness for big mountain lines, crevassed ski terrain or moderate glacier climbs. It will pack down to the size of an orange to easily stash in your pocket or pack ready for when you need it. It has been designed with a full strength belay loop and low profile Speed buckle closures that make for easy on/off, particularly when wearing skis or crampons.